Leadership Tallahassee graduates meet on a quarterly basis for membership luncheons to further their community leadership development & education. Hot topics, trends, and community leaders are the featured programs for graduates & their guests. These luncheons provide an opportunity for LT alumni to connect with each other, introduce guests to LT & its members in a professional setting, and stay connected to current issues & challenges. All luncheon programs are planned & implemented by LT graduates. 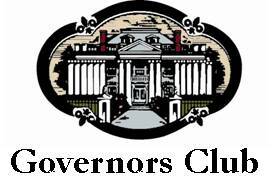 All Membership Luncheons are held at the Governors Club, 202 South Adams Street.